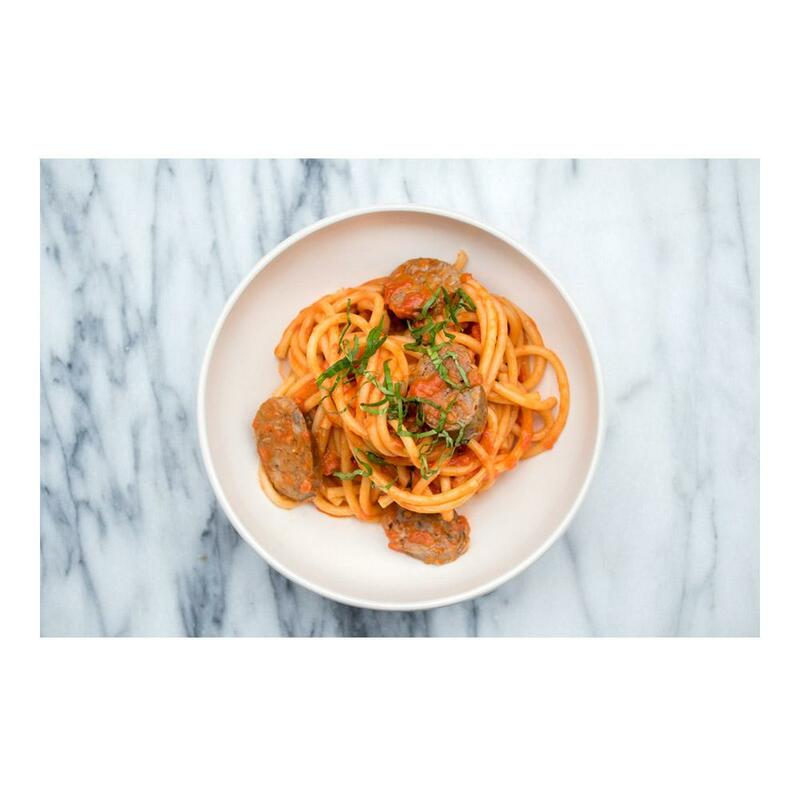 This wild boar sausage is flavored with three types of chilies (including smoky chipotles), bacon, garlic and other spices. Our game meat is USDA approved. Ingredients: Wild boar (meat from feral swine), pork, beef, beef cheek meat, bacon (cured with: water, salt, and less than 2% of the following: brown sugar, sodium phosphate, sodium erythorbate, sodium nitrite), potato, water, chipotle chiles, ancho chilies, chilies, salt, spice and spices extracts (soy lecithin, tricalcium phosphate and polysorbate 80 added as a manufacturing aid), carrot powder (carrot and 2% silicone dioxide), sugar, garlic powder, flavorings, dextrose. Stuffed into a natural pork casing (contains sulfating agents). Store wild boar sausages in your freezer until you’re ready to use them, then thaw as many packs as you need. 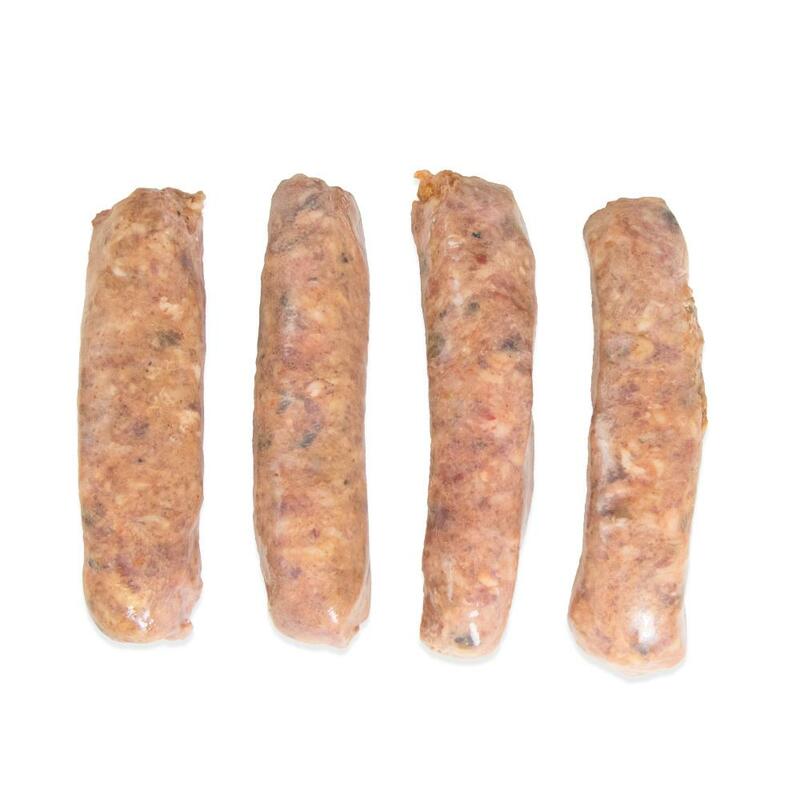 Wild boar sausages can be used as you would other sausages in a wide variety of applications. They can be cooked whole, sliced, or removed from their casings and crumbled for use in sauces, burger patties, pasta fillings & more.